As Chairman of the cooperative Andrei Yahorau, the implementation in Poland sent 18 thousand liters of Apple juice. According to available agreements and in the presence of demand supply it is planned to organize on a regular basis. In this case, the supply volume is projected at 20 million liters of beverage per quarter. 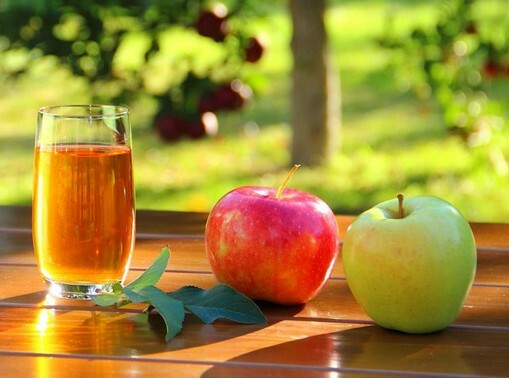 "Apple juice made from local apples, is exported to the European Union for the first time in the history of agriculture and processing industry of the Kaliningrad region, – noted Andrei Yahorau. – Our products meet all the quality standards and security of the European Union. The contract was awarded due to the unique consumer properties and palatability of the product. Analogues of juice produced by the cooperative "Vegetables of Kaliningrad" in the EU no." The juice of local apples organization produces. In 2016, it produced 1.4 million litres, and similar volumes are expected this year. Products are sold not only in the region but also comes to St. Petersburg. "For the year in the region, we sold nearly 800 million liters of juice, there is some overproduction, so we decided to look for new distribution channels, including in Poland. We study the market, see how consumers will perceive our juice. We produce a natural product on the market – both in Poland, these juices are practically no", - said Andrei Yahorau. The cooperative "Vegetables of Kaliningrad" is engaged in processing, conditioning and marketing fruit and vegetables, production of juice products. In 2016, the organization became the winner of regional competition for the provision of grant support to agricultural consumer cooperatives on the development of material-technical base. The amount of state support amounted to more than 16.1 million rubles. In particular, budget funds were allocated for the purchase of line for production of pasteurized juice. This year, the cooperative recognized as one of the best agricultural organizations of Russia, received a silver medal on the results of industry competition, the main agricultural exhibition of the country "Golden autumn". "Food products and agricultural raw materials prevail in the total amount of Kaliningrad's exports. Mostly overseas shipped grains and oilseeds, meat products. Today Kaliningrad manufacturers open up a new export destination – juice," said agriculture Minister Natalia Shevtsova. By the end of 2016, the export of food products and agricultural raw materials from the Kaliningrad region amounted to 74,4 % of total exports of the region.